It’s been great seeing everyone’s list of influences. In making the list of the 15 influences that have had the biggest impact on my work, I’ve noticed a tendency for artists who have shown me what it takes to have a long career and how to sustain work at a high level over a stretch of many years. I also realized how lucky I have been to meet many of these inspirational artists. Milton Glaser has continued to inspire me since my days as an art student. His work is always smart and spans the worlds of graphic design and illustration. 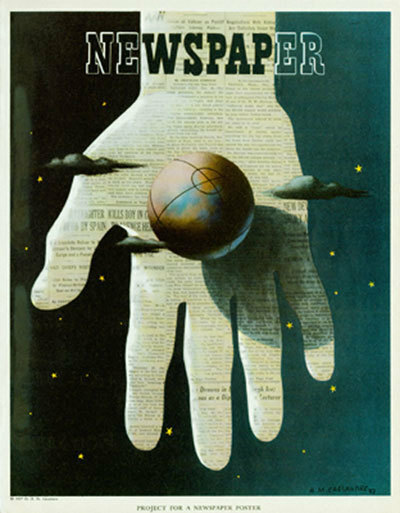 The work from the early Pushpin days showed us so many possible approaches to making images that it changed the very definition of the word illustrator and made it possible for many of us to have careers. Seymour Chwast. Everything I said about Milton applies to Seymour as well. Years ago, my good friend Kenton Nelson was being repped by Pushpin Studios and he invited me to join him for lunch with Seymour. We stopped by his studio where there was a lot of activity, and I saw these four portraits of legendary artists whose names ended in the letter O that Seymour was working on. When I asked him what they were for, he told me he didn’t know yet, but that he hoped that they would find a home somewhere, a book or prints, something. That had a huge impact on me. 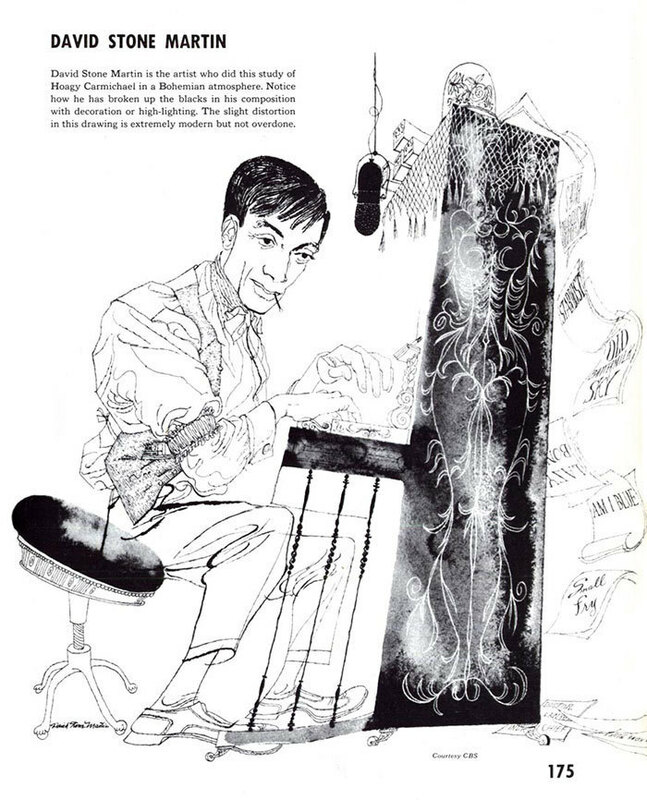 Here was one the best-known illustrators in the world working on a self-initiated project that didn’t have a client yet. It was important to him to make images that he wanted to make and figure out a way to get them out in the world. That inspired me to always have a project or two of my own going that I can work on in between assignments, to try some new things and to not only wait for the phone to ring to start something. 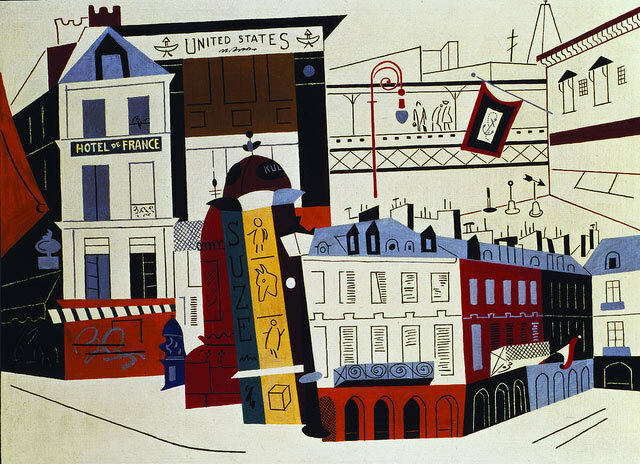 Stuart Davis is my favorite American painter. As a young artist, he spent a year in Paris and he imported a Cubist sensibility to his paintings of the vibrant American scene. There are stories of Davis and Mondrian making the rounds of jazz clubs in New York in the 1930s, I’d like to have been at a corner table with those two. Joseph Binder was a poster artist who immigrated to the US from Vienna just before WW2 and he brought a style of European Modernism that found a place in American advertising and publishing. I was introduced to Binder’s work in the late 70s when the great Mick Haggerty used a famous Jantzen ad as inspiration for a cover for New West Magazine. The more I found out about Binder’s work the more I liked it. Around 1984, I saw an article in New York Magazine about a building on Central Park South that Donald Trump was converting into co-ops and some longtime residents didn’t want to leave. Carla Binder was one of those residents. I knew that Binder had lived in that building, he died in 1972, so I wrote a letter to Mrs. Binder to wish her well and tell her how much I admired her husband’s work, and she invited me to visit when I was in NYC. Soon after that, I spent an afternoon in their apartment; it looked exactly as it did when they arrived from Vienna in 1936, full of modern furniture and Binder’s non-objective paintings. Mrs. Binder got about two dozen of her husband’s airbrushed originals out of the flat-files to show me. The colors were brilliant and the high level of precision and craftsmanship made a big impression on me. I was hoping she was going to lay one of those pieces on me, but she was much to smart for that, everything was promised to the library at SUNY. 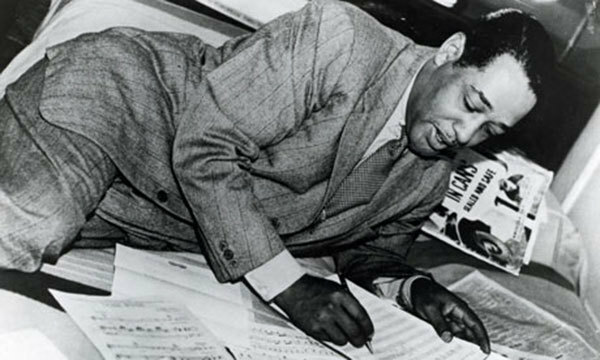 Duke Ellington is America’s greatest composer. He led an orchestra from the time of his arrival in New York in 1923 until his death in 1974. The history of jazz music in America is filled with artists who persevered in the face of adversity, but no one did it with as much elegance and style as Duke. He wrote over 3000 songs, and, like Picasso, you can check out any phase of his career and you’ll find genius. Eric Ravilious is a recent discovery for me. 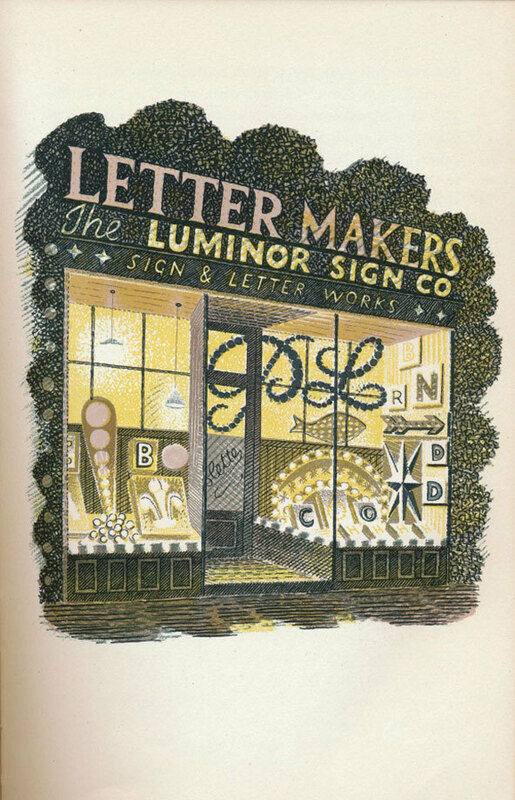 An English painter, designer, book illustrator and engraver, I especially like his drawings of storefronts for a book called High Street, first published in 1938. His career was cut short when he was killed in a plane crash while working as a war artist in 1942. 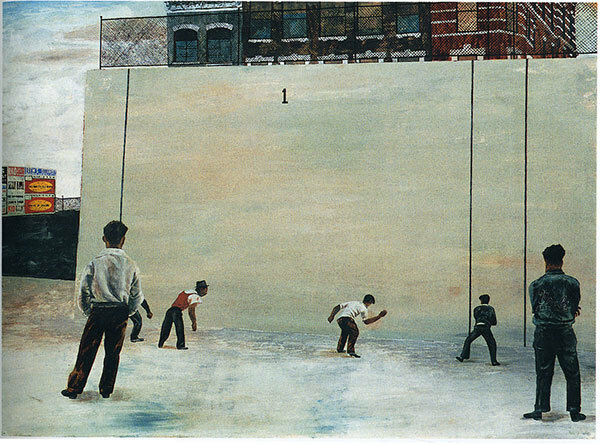 Ben Shahn is a favorite of a lot of young illustrators, and one of mine too. His long life, and his ability to create great work as an illustrator, muralist, printmaker, painter and even photographer always inspires me. Plus, he was name-checked in Annie Hall. David Stone Martin worked as Ben Shahn’s assistant before establishing his own career as an illustrator. He’s best known for his album cover work for Verve and other jazz and folk labels. I like the scratchy, searching line he uses and the spontaneous feeling of his drawings. 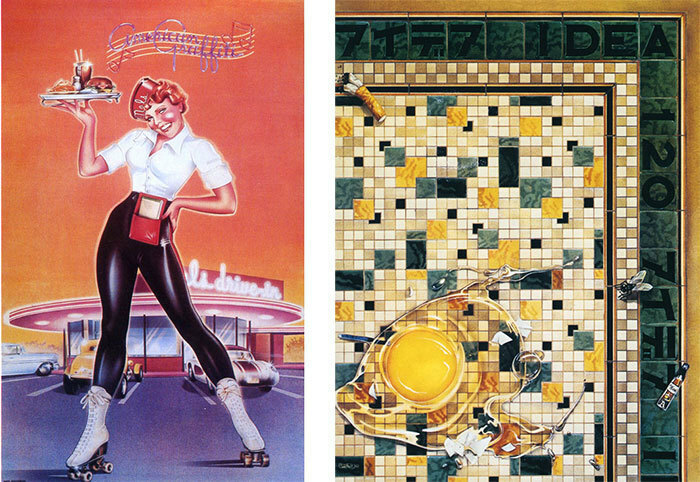 Bjorn Aronson is the artist responsible for the first set of attraction posters for Disneyland in 1955. I remember seeing these posted around the park when I was a kid, and I even took snapshots to document them back before everything was available online. Aronson designed about a dozen of these screen-printed posters and his color choices and his ability to show complex environments with a very edited poster style still inspires me. 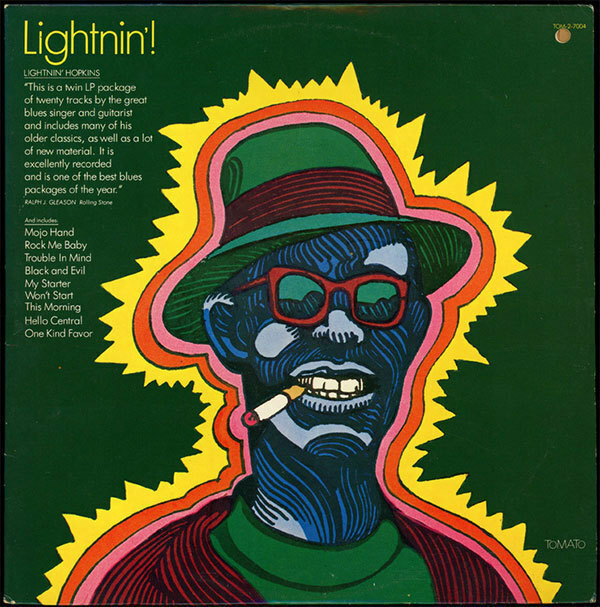 Alex Steinweiss is credited with inventing record album cover design. 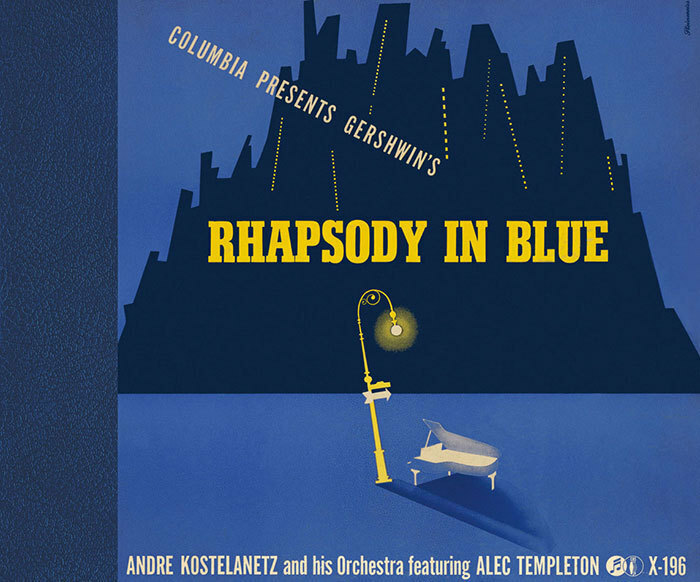 As the art director for Columbia Records in 1939 he had the idea to put artwork on the covers of records to give the customer an idea of what kind of music they were buying. Alex designed 1000s of covers and also kept busy with projects for movie titles, advertising, and poster design. I read that Steinweiss was still alive and in his 90s when my book, Jazz ABZ, came out, so I sent him a copy with a note telling him that he was a big part of the inspiration for the book. He wrote back right away and invited me to visit him in Florida. Jill and I went down to Sarasota, and spent a lovely afternoon with Alex. He was living in an assisted-living apartment and he still had a drawing table and his paints set up by the window. Dave Willardson and Charlie White were the kings of California airbrush when I was finishing school in the late 1970s. They taught a class at Art Center during my last semester there, and they also ran an illustration/design studio on Santa Monica Blvd. When I graduated and was taking my portfolio around LA looking for work, I used to stop in to kill time and visit with the guys in the studio. I was there so often Dave started giving me assignments and I’ll always be grateful to him and Charlie for helping keep me afloat during those early years of freelancing. I also got to see firsthand how to run a professional studio and what it meant to produce work at the highest level for every type of client. 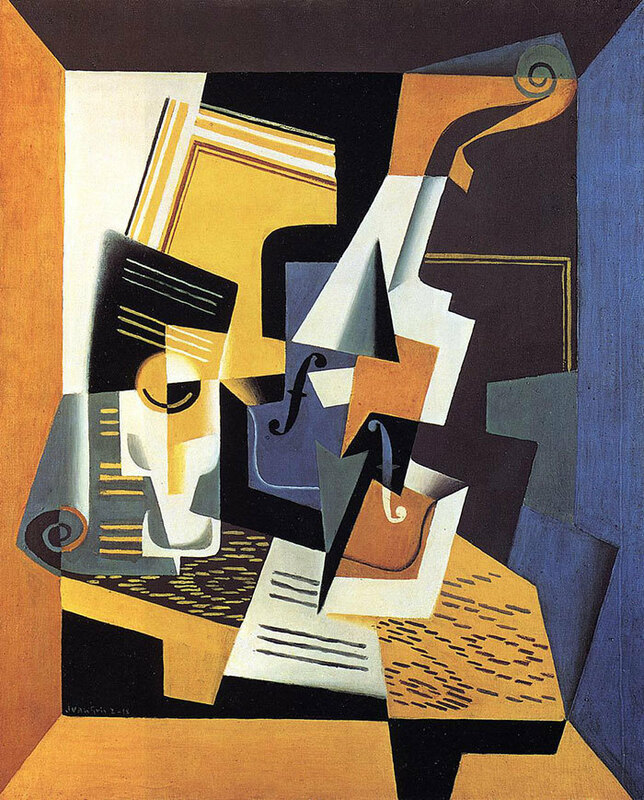 Juan Gris is my favorite Cubist painter. I love his color choices and his approach to the style. I think when we’re young, we like to look at painters that seem to be doing something we think we can maybe do. For instance, I love Vermeer, but it seems to me like it’s not even painting, it’s some kind of supernatural-image-transfer. Guys like Gris, Davis and Leger, I get. I understand what they’re up to and it gives me ideas for my work. 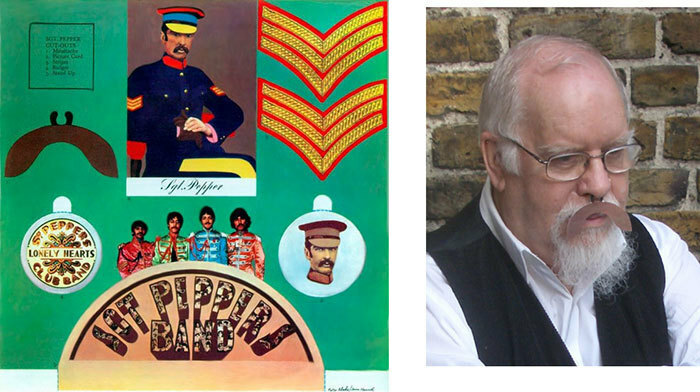 Sir Peter Blake is best known for his cover for Sgt. Pepper. He has had a long career as one of England’s best loved Pop artists. I had the chance to meet Peter a couple of times on visits to London with Art Center students, and he is everything you’d like to be when you grow up. He’s in his 80s now and he’s in the studio every day. He’s got separate rooms for painting, sculpture, and collage, and he’s got projects going in all of them. On one of our visits he admitted to being a bit hungover from the night before when he was out with Kate Moss. I even got him to don a Sgt. Pepper mustache disguise that I brought along. 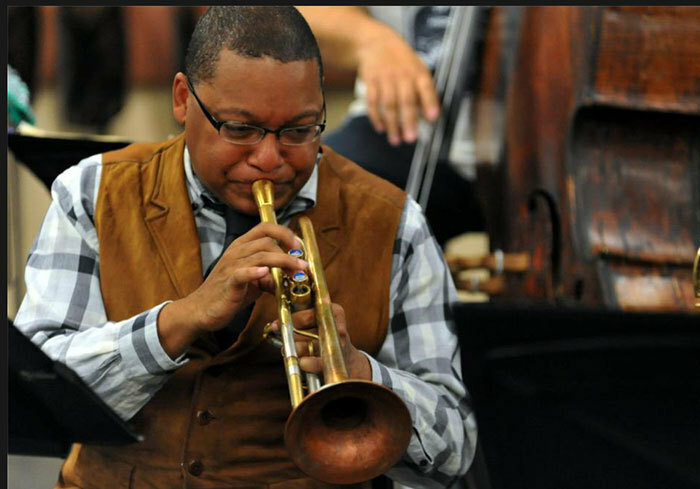 Wynton Marsalis and I have been friends for something like 20 years and he has been a source of inspiration to me for longer than that. When we first met we had a chance to talk about music and art and I began to see how many of our ideas about visual art have their equivalent for musicians. Finding your voice, finding the right spot for your art, working with other artists and figuring out how to survive in a world that is, for the most part, indifferent to art. Wonderful influences, Glaser was huge to me, the rest are great! Great post, Paul. And wonderful stories. Love your description of Vermeer's process. Thanks, Paul, this is inspiring. I'm not familiar with many of these influences so thanks for introducing them to me. It'd be interesting to make a Venn diagram of how everyone's influences overlap. So many familiar faces here and then some completely new --which is exactly the point. I liked your thoughts on Gris, an oft overlooked and overshadowed artist. These creative types make for one sweet stew. I see a bit of each in your work, especially Davis. Big fan. More, if you please!